Super Brain (2012) offers a fascinating look at the amazing powers your brain has to change your life and even alter your perception of the world. “Mind over matter” is a rule; with the right set of tools, you can rise above the daily grind to live a healthier, longer life free from fear and disappointment. Rudolph E. Tanzi is a professor of neurology at Harvard University, specializing in the genetics of aging and associated neurological disorders, such as Alzheimer's. He has received many awards for his work, including the Metropolitan Life Award. 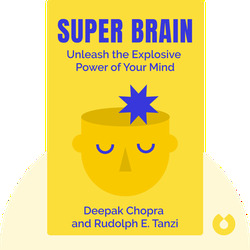 He is also the coauthor of the book Super Genes. 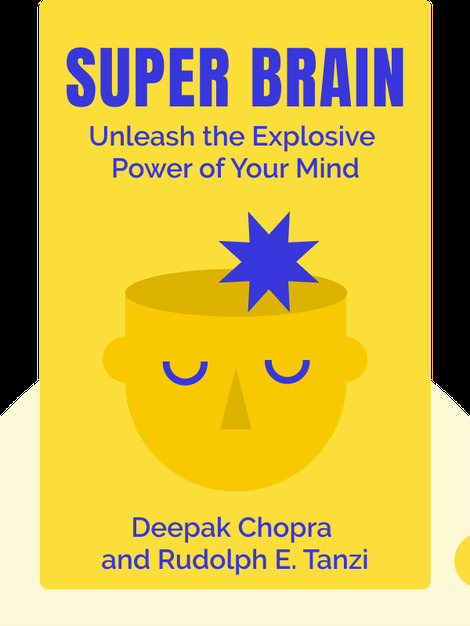 Deepak Chopra is a doctor of internal medicine and endocrinology and teaches at the Kellogg School of Management. He is the founder of The Chopra Foundation and author of many bestselling books, including Ageless Body, Timeless Mind and Synchrodestiny.